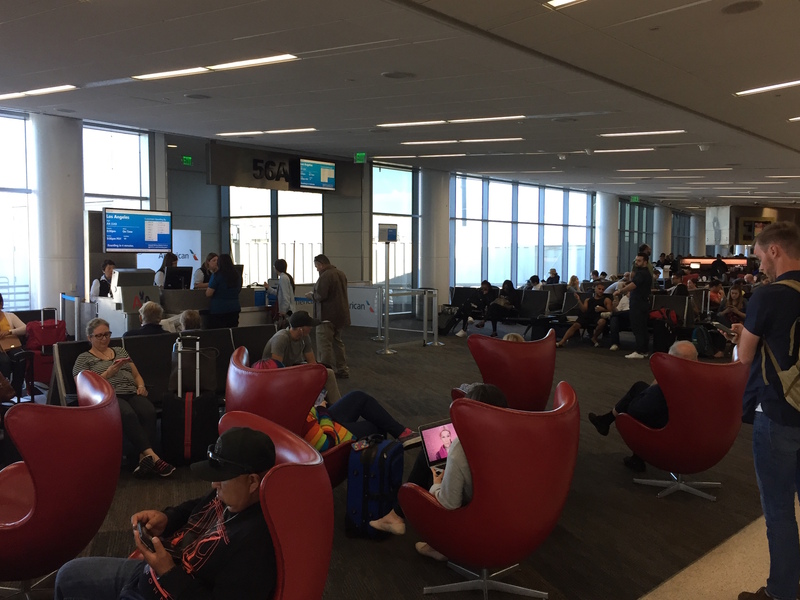 Flight 2 of 10, AA 1143 SFO-LAX, #NMCLaborDay | No Mas Coach! The Admiral’s Club in San Fran is just past the security checkpoint on the left hand side. If you head to the right instead, you can find their nifty Yoga Room, complete with free mats and plenty of Zen! We headed towards gate 56A just as boarding was commencing. First Class and uniformed military were called to board, and off we were! We were the first people to board, so we were able to snag some pics of the seats. Talk about a marked improvement over the Alaska hard product. Wow. 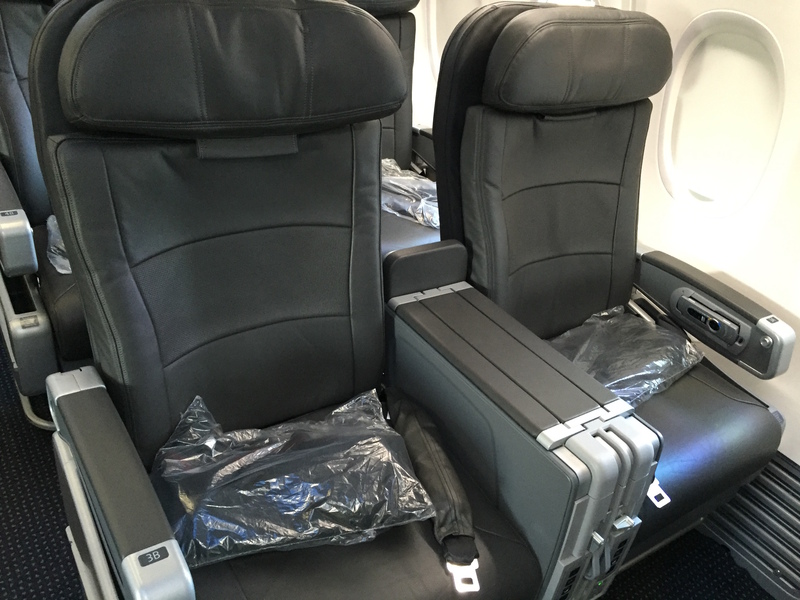 The entire cabin of the 737 was redesigned in a slate gray, crisp, and clean look. The seats were large but not oversized and really comfortable to sit in. 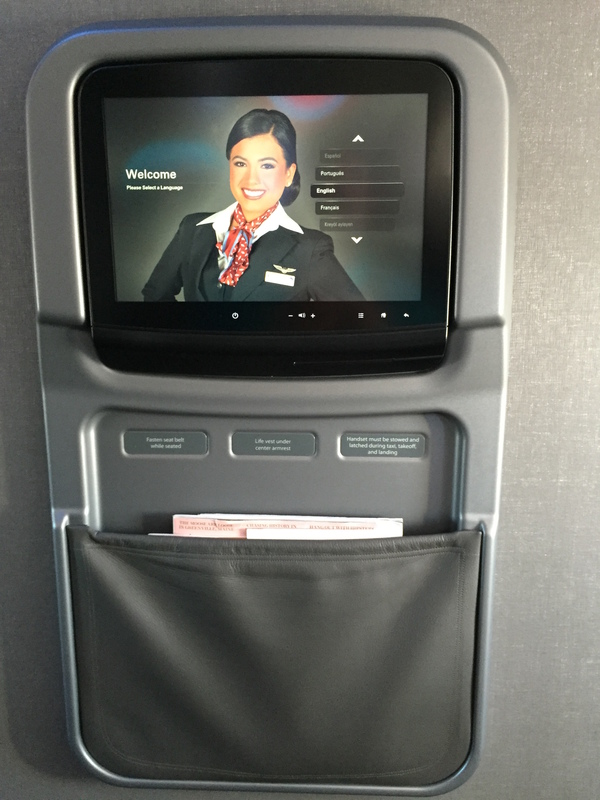 I also love the big video monitors they’ve installed into the planes. 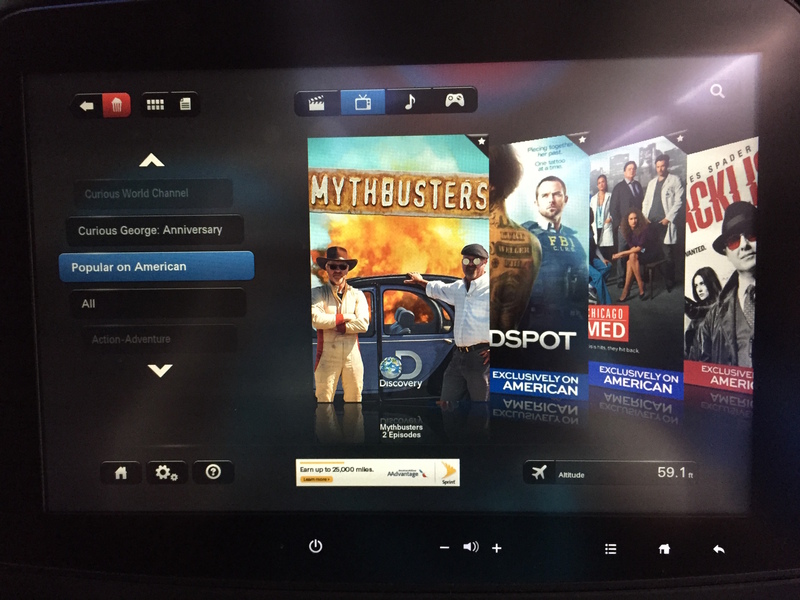 There’s tons of movies and TV shows so you’re not going to be bored on the flight. The other cool part? 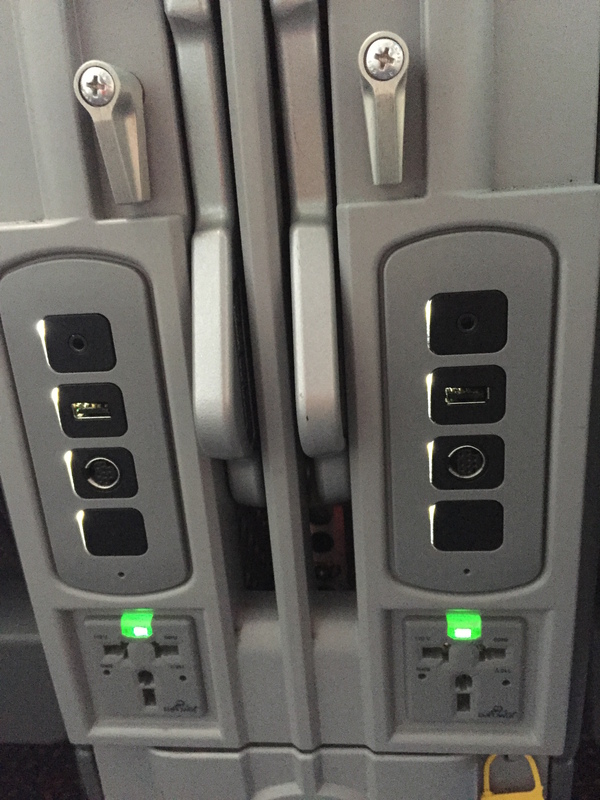 They turn them on at the gate, so you don’t have to wait for the FA or captain to turn them on once we’re airborne. We taxied out to the runway and all SEEMED well until we slowed to a crawl and the captain came over the PA. He informed us that due to heavy traffic into LAX (a staple of Friday nights) there would be a slight delay of about 25 minutes before we could take off, so sit back and relax. 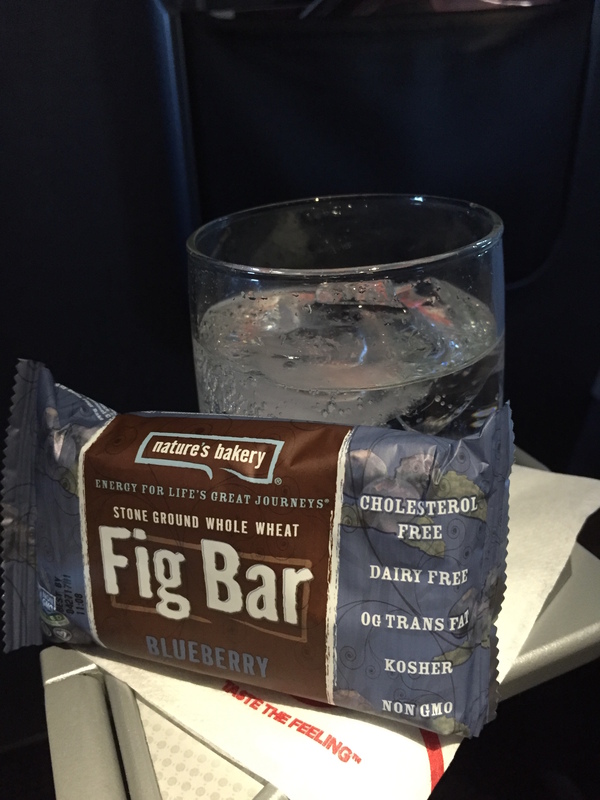 I’ve seen lots of flight attendants in the past come by an offer drinks to first class in situtations like this, but our FA’s just took out their magazines and started reading. Meh. Perusing the options for a show we needed something under an hour and still cool, so Mythbusters seemed like a win! 20 mintues later, the seat belt sign came back on and we were on our way heading out of San Fran. 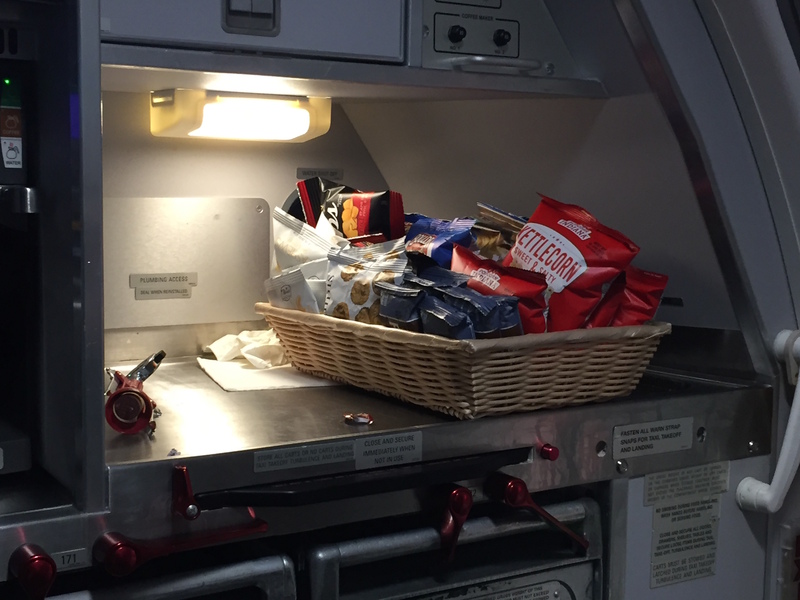 It’s a short flight, only 56 minutes long, so don’t expect a full meal service on this flight. Ben went for the Sierra Mist option and I chose a water and Disaronno on the rocks. 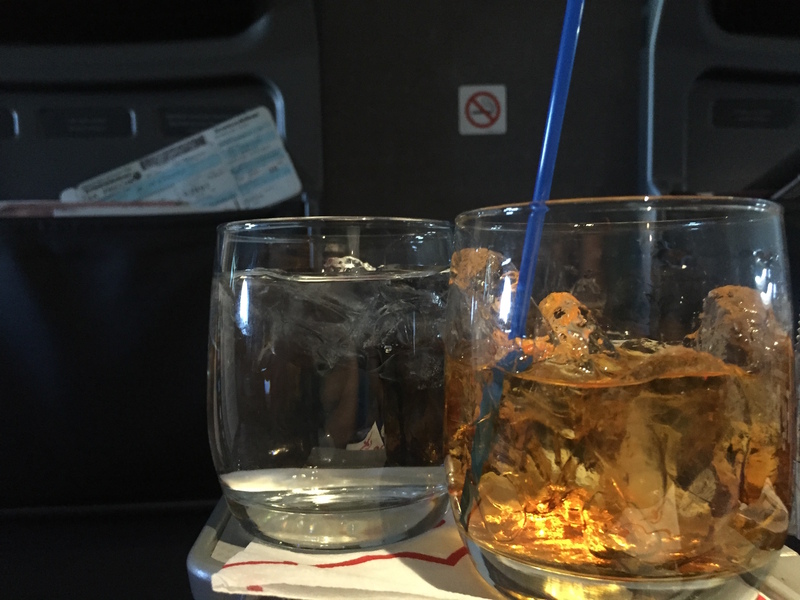 Not many airlines offer amaretto nowadays, so when it’s on offer, I take full advantage. 20 minutes or so later the Mythbusters show was done and we were already in our descent into LAX. 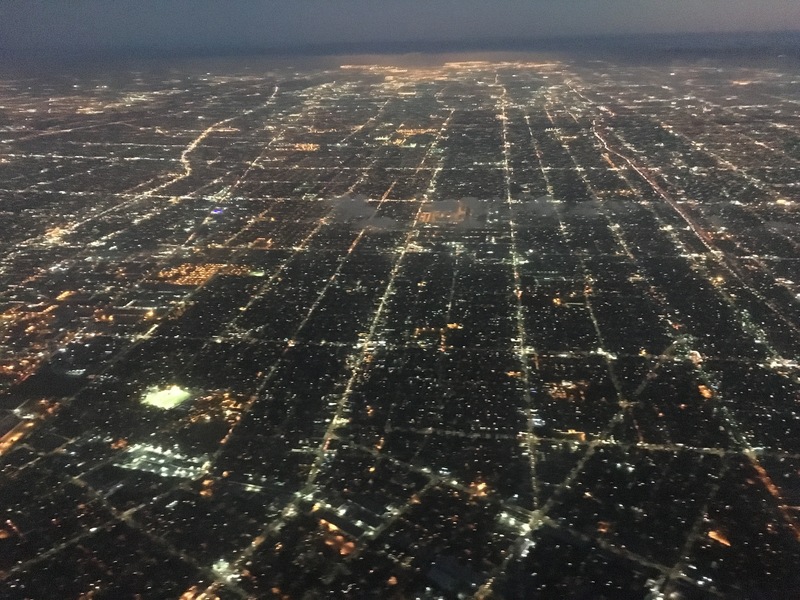 The views are pretty awesome coming in to LAX. We taxied to our gate and the flight was done. Now since we’re slightly delayed, lets jog over to the admiral’s club LAX and have a quick bite before we head to the third flight of the day! The difference between the Alaska 737 and the American 737 was stark. They were both new planes (as evidenced by the same Boeing internal style) but you can see that American decided to take their internal design to another level. 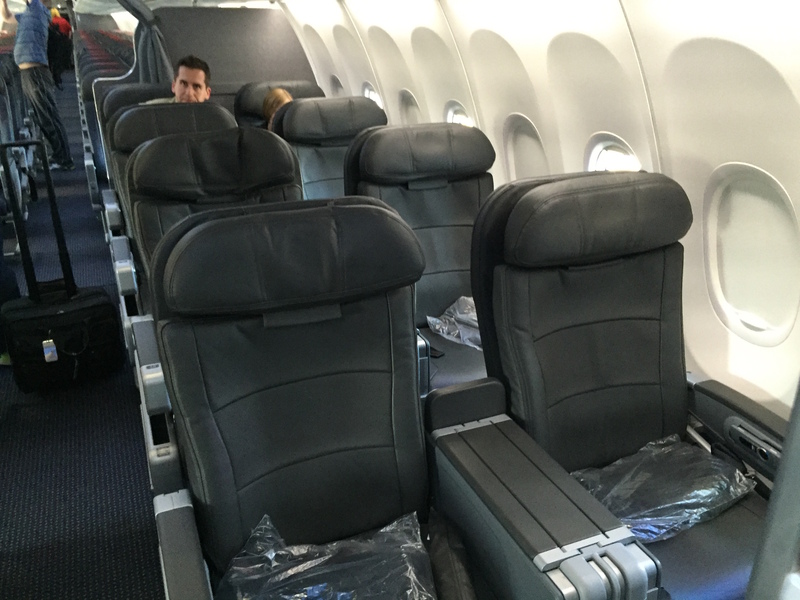 The seats are modern, comfortable, spacious, and there has been a lot of attention to detail. Anyone who has flown on Alaska will probably tell you the same, that the planes look dated. Seriously, can we please get rid of the CARPET ON THE BULKHEAD WALLS? PLEASE? Off to our third flight and the final one for today. New York, here we come!